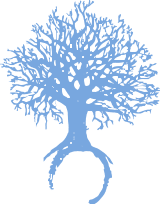 The Center for Love and Light is a live event rental company who supports individuals, companies and organizations who promote wholeness living. Being a ‘live rental space’ means that we will advertise your event or class on our website, in our bi-monthly newsletter blasts and printed flyers to our community. Your success is our collective victory. With daily classes and workshops, you're sure to find something to fit your needs. Channelings, meditation, sound baths, awakenings, mens groups and more! We hold space for experienced, knowledgable, wise educators to evolve self growth, connection and development by hosting classes, workshops and events. Partnerships and links to websites representing The Center's core values and our treasured community. The space is anchored by crafted wooden walls, murals and natural light. The Center provides a beautiful, conscientiously designed environment, one that offers positive, clean and awakening energy. CNN featured The Center for it's Foam Rolling!